With a successful 30-year track record and thousands of satisfied customers across the San Antonio area, Action Garage Door is the family-owned business you can trust with all your garage door needs. 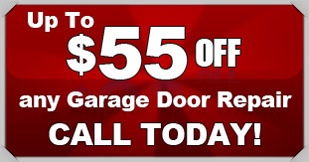 If you are looking for New Braunfels garage door repair, you don’t need to turn anywhere else. Our team of highly skilled, thoroughly screened professionals is committed to exceeding your expectations on any job, no matter how simple or extensive. We were founded in 1984 on the principle of performing exemplary work with the highest level of integrity. As part of that philosophy, we always use high-quality products built to withstand the elements and ensure that our work complies with all applicable local codes. When you call Action Garage Door for your garage door repair in New Braunfels, you can count on us to have the knowledge and the equipment necessary to get the job done right the first time. We can fix a problem spring, install a new opener, realign an off-track door, and much more. We’ll work quickly but thoroughly to restore your peace of mind and make your garage fully functional and secure. Along with providing top-notch repair and maintenance services, we also offer help with garage door installations. We feature models from the best manufacturers in the business, including Amarr commercial doors, Chi residential doors and many others. Our experts will work closely with you to make sure you end up with the perfect new garage door for your home or office, one that is built to last and designed to complement your property. When you need New Braunfels garage door repair or installation, turn to our expert team. Give Action Garage Door a call or contact us online to schedule service.